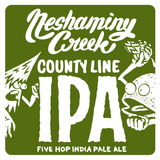 Croydon, PA…Resinous pine notes, citrusy lemon, and grapefruit that many IPAs on the East Coast lack. DRINK LOCAL !!! Resinous pine notes, citrusy lemon, and grapefruit that many IPAs on the East Coast lack.